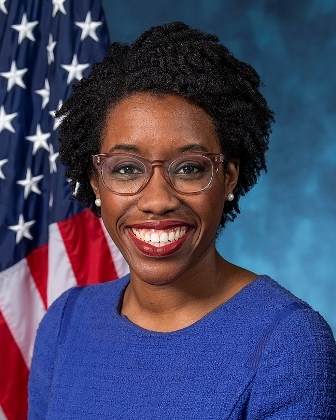 Freshman Rep. Lauren Underwood (D-Ill.) told a receptive audience of the nation’s leading African-American nursing association that they should seriously consider entering the political realm. Underwood, a registered nurse, spoke to the 90 participants of the one-day event during its morning session. The representative spoke strongly about the need for African American nurses voices to be heard in the country’s political dialogue. The National Black Nurses Association (NBNA), founded in 1971, serves as the representative for 200,000 African-American nursing professionals, students and retirees from the U.S., the Caribbean and Africa with 90 chartered chapters in 35 states. Blacks make up 9.9 percent of all nurses, according to the U.S. Department of Labor. Working under the theme “Addressing the Epidemic of Health Inequity: The NBNA Call for Action,” the participants listened to speakers on health and public policy issues in the morning and spent part of the afternoon on Capitol Hill meeting with representatives and senators and their legislative staffs. During the visits, the participants urged their lawmakers to support their areas of concern: passing the Health Equity and Accountability Act of 2018 sponsored by Rep. Barbara Lee (D-Calif.) that would correct deficiencies in data collecting and reporting, pushing for health care worker diversity and support for mental health initiatives; working to eliminate maternal mortality; educating and advocating on climate change and environmental justice; fighting the epidemic of gun violence and combating the opioid crisis. While most met with staff members, some managed to get face time with their representatives on the Hill. Participants from New York talked with Senate Minority Leader Chuck Schumer (D) and those from Houston had a dialogue with Rep. Al Green (D-Texas). Afterward, the participants spoke of their experiences with their lawmakers. Underwood, the youngest African-American woman elected to the Congress, said that she and Rep. Eddie Bernice Johnson (D-Texas) are the only Black nurses on the Hill. “That’s not enough,” she said. Underwood encouraged the event participants to know their local public officials and seek appointment to county and state nursing boards. She also said the participants should take a “leap of faith” and intern for a member of Congress. Dr. Greg Margolis, director of health policy fellowships and leadership programs for the National Academy of Medicine in the District, spoke about the Robert W. Johnson Health Policy Fellows program and noted that Dr. Sheldon Fields, a founding president of the greater New York City chapter of the NBNA, made history as the first male registered nurse to participate in the program.